In June 1976 Americans were gearing up to celebrate the Bicentennial and pick a new President, singing along to the number one song on the radio, Silly Love Songs and paying just 59 cents for a gallon of gas. Along came the Honda Accord, a fun and fuel-efficient three-door hatchback, beginning a four-decade long American success story. Over 40 years and nine generations, Accord has consistently set the benchmark for the U.S. auto industry, earning the trust of more American car buyers than any other car during that period – with sales of more than 12.7 million Accords, the vast majority produced in Honda’s U.S. plants. Through continuous improvement and innovation, Accord has earned a reputation as a segment-defining product, delivering class-leading reliability and durability with outstanding fuel efficiency and low emissions – along with refined and responsive driving dynamics and top-class safety performance. As one important bellwether of its success, the Accord has been named to Car and Driver magazine’s prestigious “10Best” list a record 30 times, a feat unmatched by any other automobile of any type. And while Accord built its success through the loyalty of the baby boom generation, its popularity continues with younger buyers as the top-selling midsize sedan and number two overall (to the Honda Civic) in sales to under-35 car customers for five of the past six years. Accord was the first Honda model and first vehicle from a Japanese automaker to be manufactured in America and has been in continuous production in America for nearly 34 years, since the start of Honda’s U.S. automobile manufacturing at the company’s Marysville, Ohio auto plant on November 1, 1982. Through the years, it also has been produced in the company’s plants in East Liberty, Ohio; in Birmingham, Alabama; in Alliston, Ontario, Canada; and in El Salto, Jalisco, Mexico. In total, Honda has produced more than 10.7 million Accords in North America for both local and global markets. Accord was also the first U.S.-made automobile from a Japanese automaker exported overseas, beginning with the shipment ofOhio-made Accords to Taiwan in 1987, followed by the landmark export of the U.S.-made Accord Coupe to Japan in March 1988. From its humble roots as a hatchback with a smaller wheelbase than today’s subcompact Honda Fit, to today’s full lineup of engines and body styles – including the Accord Sedan and Coupe and just-launched 2017 Accord Hybrid – Accord has a legacy of leadership unique in the industry. Accord’s ongoing success includes three consecutive years (2013-2015) as the top-selling car in America to individual car buyers. A core element of Accord’s enduring success is the ability to adapt to the changing needs of customers, including younger buyers, which today means meeting demand for advanced connectivity technology. The 2016 Accord, which received a major refresh in the fall of 2015, is one of the first high-volume models in the automotive industry to provide support for both Apple CarPlay™ and Android Auto™, seamlessly integrating the core features and functions of customers’ smartphones. CR-V, Pilot, and Civic, to apply the Honda Sensing™ suite of advanced safety and driver-assistive technologies, which can help prevent or mitigate the severity of a collision and which also serve as both a technological and perceptual bridge to the highly automated vehicles of the future. The name Accord was derived from Honda’s unremitting effort to achieve “accord” between people, society and the automobile through advanced technology. 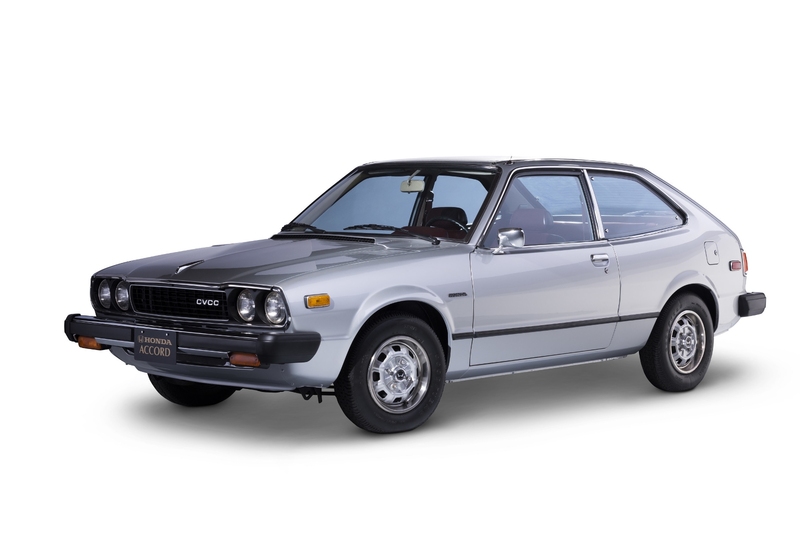 The introduction of the first Accord in June 1976 was significant for both American Honda and the automobile industry as a whole. For Honda, then known mainly for its motorcycles and its economical Civic, Accord was the first step toward becoming a full-line automaker and a major presence in the U.S. automobile market. For the industry, the Accord defined a new kind of car – a practical automobile that combined economy and value with sporty style and spirited performance. To mark the 40th anniversary, Honda is featuring a timeline of Accord firsts on the Accord family page of the website as well as posting highlights on social media channels including Facebook, Twitter and Instagram. To view 40 years of Accord history and learn more about the many firsts, body styles and models, visit www.automobiles.Honda.com/Accord. Honda offers a full line of reliable, fuel-efficient and fun-to-drive vehicles with advanced safety technologies through approximately 1,000 independent U.S. Honda dealers. The Honda lineup includes the Fit, Civic and Accord passenger cars, along with the HR-V, CR-V and Pilot sport/utility vehicles, Ridgeline pickup and the Odyssey minivan. Honda has been producing automobiles in America for nearly 34 years and currently operates 18 major manufacturing facilities in North America. In 2015, more than 99 percent of all Honda vehicles sold in the U.S. were made in North America, using domestic and globally sourced parts. 2. Based on IHS Automotive, Polk new retail vehicle registration data for 2013-2015CY. 3. Based on IHS Automotive, U.S. new retail vehicle registrations by volume for all models in industry and the age of head of household data for 18-34 year olds for CY2010-2015.